Each woman’s health needs are unique and multifaceted, and Michael Temkin, DO is fully trained in and experienced with treating a variety of women’s health issues. He takes the time to listen to each patient’s concerns, encourages them to ask questions, and explains things in ways they can understand. Call Dr. Temkin’s office, located in San Ramon, California, to schedule a visit. Can I see Dr. Temkin instead of a gynecologist for women’s health care? Yes. Instead of visiting an OB/GYN for an annual gynecological examination, you can take care of your well woman exam and general health needs within the comfort of Dr. Temkin’s primary care practice. He provides care for women through all stages of life -- from adolescence to menopause and beyond. His services include preventive care, routine screenings, and treatment for specific women’s health issues. What kind of women’s health issues does Dr. Temkin treat? Dr. Temkin can help prevent and treat a wide range of women's health issues -- from urinary tract infections to osteoporosis. He seeks to understand the root cause of symptoms in order to effectively treat acute illness or chronic disease. 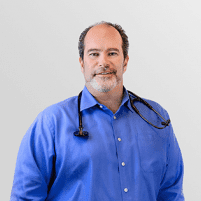 With his careful listening ear and compassionate approach, Dr. Temkin seeks to put patients at ease and help them open up about any existing health concerns or questions. Dr. Temkin can help manage women’s menopausal symptoms from perimenopause through post-menopausal stages. Perimenopause can begin 8-10 years before menopause, when a woman’s ovaries produce less estrogen, up to the point when the ovaries stop releasing eggs. This can occur as early as a woman’s 30s, although it’s most common for women to begin perimenopause in their early 40’s. When a woman has stopped having her period for 12 consecutive months, she enters a stage of life called menopause, which is a completely normal part of aging. This marks the end of her reproductive years and usually occurs in a woman's late 40s to early 50s. Give us a call or book online to schedule an appointment with Dr. Temkin, and know that you’ll receive the best care for your unique needs.